I'd like to do more Charlotte Mason style narration with the girls (having a child retell a story they've just read (or heard) in their own words). The book 'Are You My Mother' seemed like a good place to begin- since we've read it about a million times! As a fun side note, I just saw that Jenae over at I can Teach my Child did an Are You My Mother Sensory Tub today. This post is part of the Learning Laboratory. What a fun idea - my 3 year old loves to read books back to me...I think she'd love to do something like this. That's very fun that she does it naturally on her own! This is a great idea! 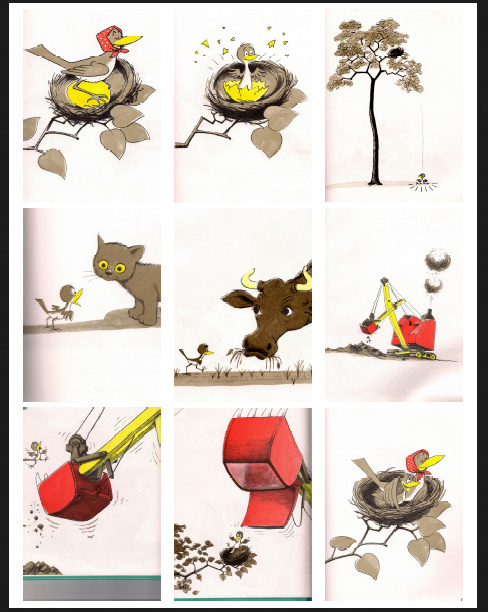 I think my kids would love to do some sequencing with scanned pictures from a few of their favorite picture books!